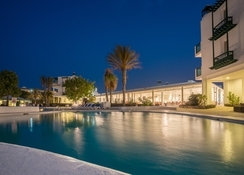 Located in Costa Teguise on the eastern coast of Lanzarote, El Trebol Apartments offers an all-inclusive and family-friendly holiday in the sun. 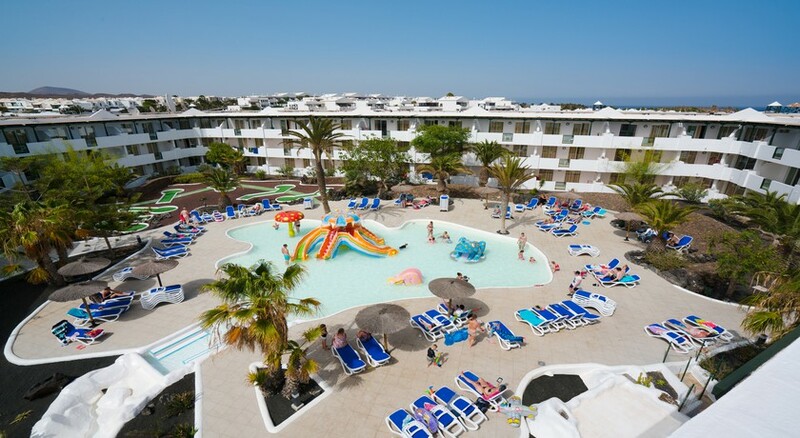 El Trebol in Lanzarote was renovated in 2016, it offers both one bedroom (which can accommodate 2 adults and 2 children) and 2 bedroom apartment style rooms with a range of various activities during the day and night to keep everyone entertained throughout their stay. 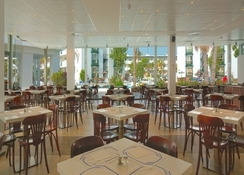 A buffet styled restaurant with a pool bar and another bar found inside the hotel provide plenty of food and drink. 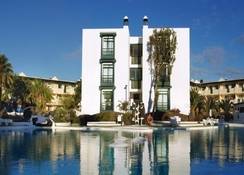 The hotel is close to the beach, the airport and Costa Teguise itself. The Lanzarote Airport is located 15 km from El Trebol Lanzarote, allowing for convenient access. The nearest beach is less than a mile from the hotel and the lively centre of Costa Teguise in Lanzarote isn’t far from El Trebol Apartments either. There are a total of 226 rooms available at El Trebol Apartments with two types of accommodation to choose. The hotel underwent a renovation in 2016 to bring its décor up to date. One bedroom apartments can sleep 2 adults and 2 children comfortably and the two bedroom apartments can sleep 4 adults and 2 children. All apartments feature air-conditioning, an en-suite bathroom and kitchenette, while free Wi-Fi and a private balcony or terrace is also featured. You also get access to a safe and satellite TV in the rooms at the El Trebol Apartments. The all-inclusive nature of the hotel means that there is a buffet restaurant on-site that provides a variety of local and international food to cater for all tastes. There are also regular themed nights, which showcases food from around the globe. The pool bar is handy for a snack while there is an indoor bar that is suited for after dinner drinks. The main square in Costa Teguise is close by and it features a host of restaurants and bars just a short walk from the El Trebol Apartments. 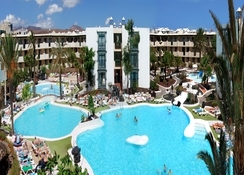 El Trebol Apartments features a massive pool that dominates the centre of the hotel grounds and it is equipped with bridges, islands and plenty to do for kids including a slash parkand there is also a sunbathing terrace. 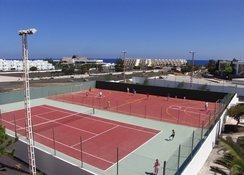 El Trebol Apartments has a range of sports facilities on offer including table tennis, a multi-sports court, volleyball and an activity programme for children throughout the day. There is nightly entertainment, including live shows and youngsters can take part in the mini-disco that is held every night in the Disco Pub. Lanzarote and Costa Teguise in particular offers plenty of activities and the small nature of the island means that travelling around isn’t a problem. El Trebol Apartments provide a fun filled family holiday that everyone will enjoy due to the convenient location of the hotel and the facilities that are available.